With over 70% of bearing failures attributed to ineffective lubrication practices, no one involved in asset management can afford to pass up this new edition! 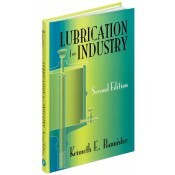 As a clear, concise, practical introduction to the world of industrial lubrication, the second edition dispels the myths surrounding lubrication and helps users develop a keen sense and understanding of how lubrication directly and indirectly impacts machine reliability, availability, and ultimately, the bottom line. What’s more, it provides readers with practical advice that will allow them to put in place a viable lubrication management program and effectively troubleshoot lubrication related problems immediately, while offering essential information required to significantly reduce equipment downtime and increase life cycle management. It is a significant source that provides vital information and practical methods not currently taught in trade apprenticeship and engineering programs. • Formatted in an easy to read style. • Clarifies the subject matter that is often seen as a “black art”, by dispelling its myths. • Reviews how bearing, lubricant, and lubrication system manufacturers approach the world of lubrication in different ways, and how this affects the reader. • Explains in a step-by-step process for the first time, exactly how to consistently manually lubricate a bearing. • Illustrates to the reader why the grease gun is responsible for so many bearing failures, and how the reader can dramatically increase bearing life with just a few simple steps.